In order to meet your needs best, Malagacar.co.uk has increased its fleet – we are a genuine car rental company with our own fleet of thousands of cars – we are not an agency! But even doing that may not be enough to meet everybody’s needs this summer – which the meteorology guys say is going to be a scorcher! It is important that you get your car hire needs ordered in advance, and by doing so you can have the choice of our full range of cars, all ready for you to collect at Malaga Airport. We even offer a personal service if you want it. We can offer you a standard family saloon, or something special for a larger family like a 7 seater minivan hire in Malaga. 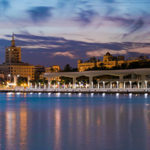 Malaga is close to a number of other resorts and beautiful countryside in terms of driving, but it is miles if you are using taxis or public transport. You must have a car when on vacation in Malaga if you want to visit Marbella, Torremolinos, the beautiful Guadalhorce valley or even visit the fabulous world-famous caves and traditional restaurants of Nerja – only 30 miles away. Half-hour driving, but a lot more on a bus! 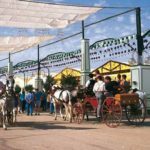 Although Malaga can offer fantastic food and dancing, many visitors to Andalucía love to go out into the countryside and seek out the old traditional restaurants and cafes that offer traditional Spanish food in traditional settings – much as the English find the same in their own countryside. You need a car for that or you might find yourself stranded in the country after the last bus time. So, if you intend to do the sensible thing and visit Malaga this year, with its historic Roman Amphitheater, Moorish castle and fabulous Malaga restaurants and beaches, then make sure that when you reach Malaga Airport, you are not among those racing for the car hire desks and standing in a massive queue hoping you won’t be left with the mini. Unless you want one of our fantastic Mini Coopers, of course, souped up and ready to trek! Malaga car hire offers you all of that and more.